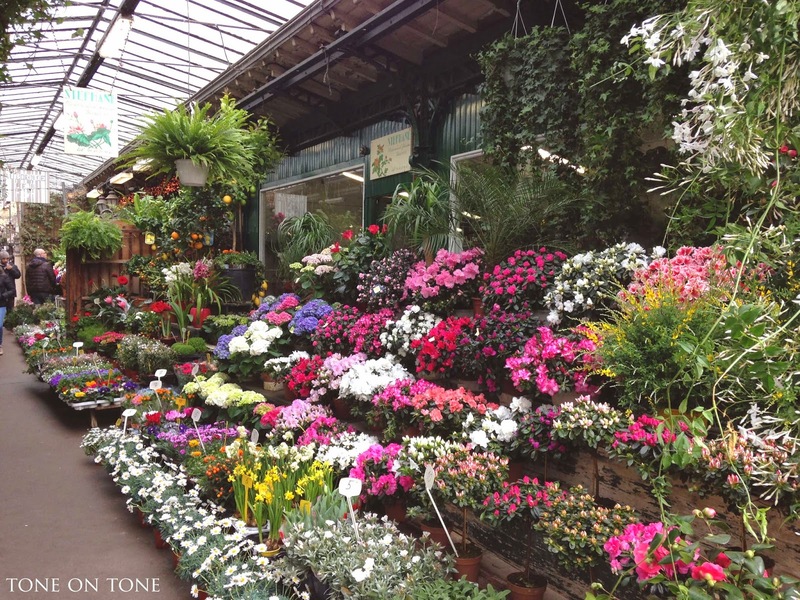 Spring, we've been eagerly awaiting your return! I couldn't resist bringing a few "smalls" back in our luggage. Though fine furnishings will always be admired, it's the smalls that speak to me. I love handling each object as well as learning about it. 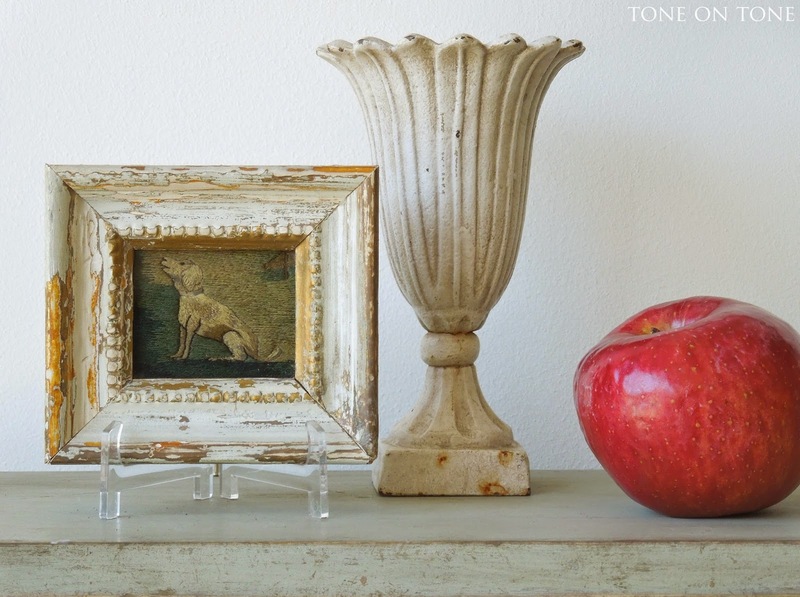 Tabletop vignettes, seasonal garden flowers in a favorite vessel, a gallery wall of collected art - those are just a few ways to tell a story with accessories. What is the difference between a beautifully decorated hotel room and a thoughtfully appointed home? The lack of personal accessories. 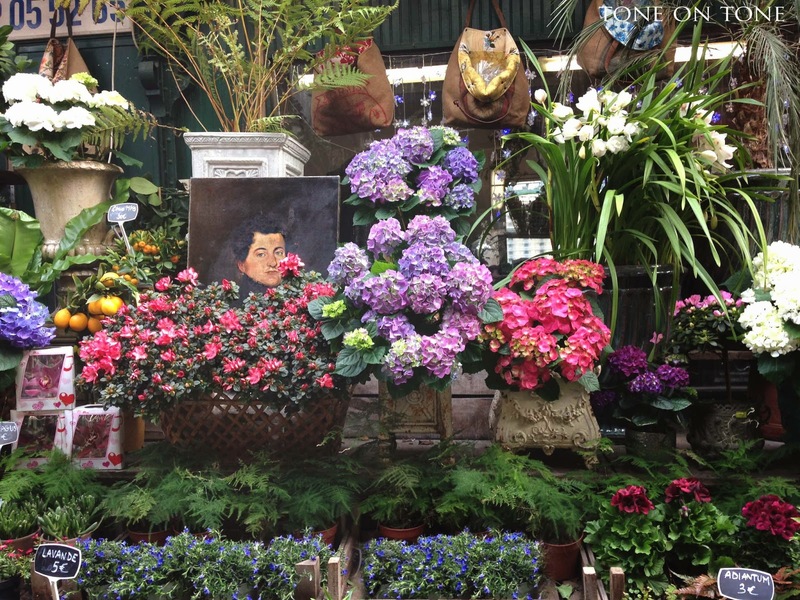 Before I share my little treasures, let's properly welcome spring with a stroll through the Parisian Marche aux Fleurs on the Ile de la Cite. 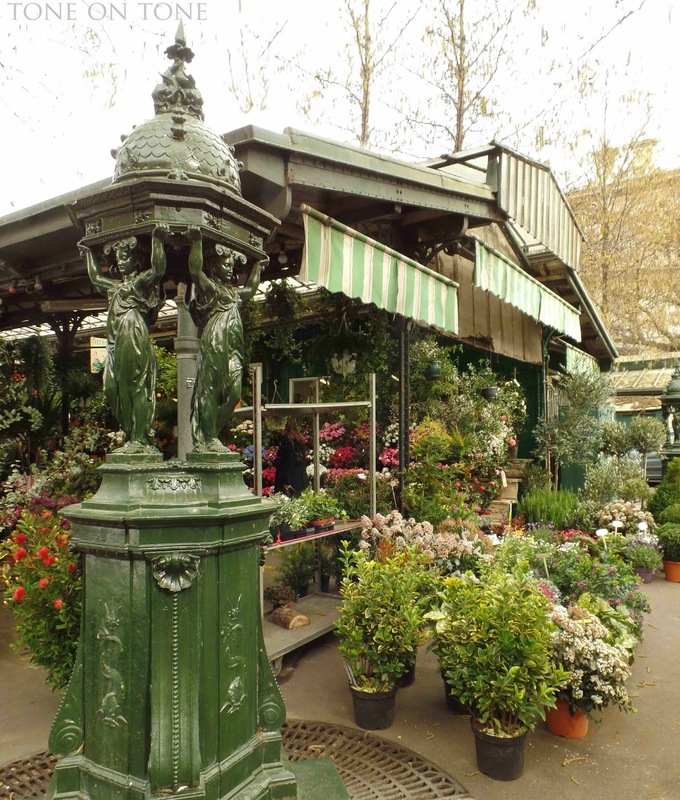 This petite bijou, located near Notre Dame Cathedral, is the oldest flower market in Paris - it was founded in the early 1800s. 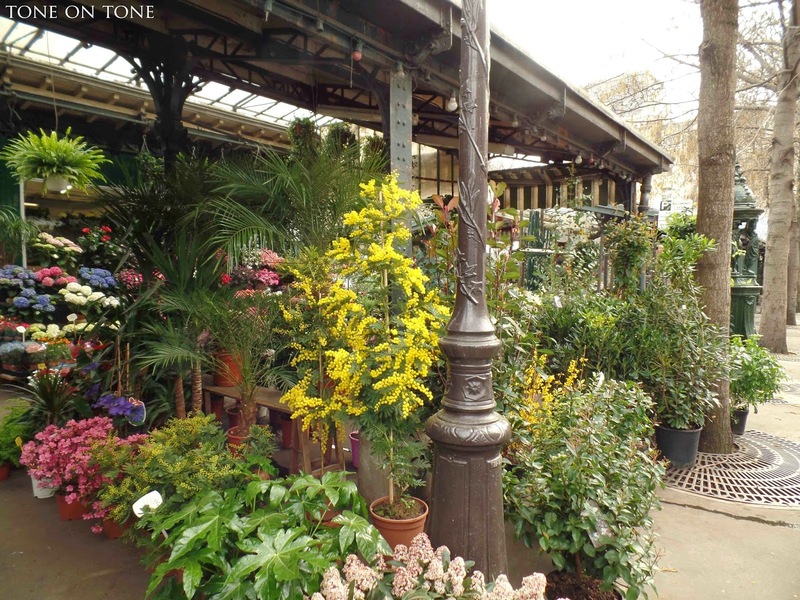 The florist and garden shops are housed in picturesque pavilions dating from the 1900s. 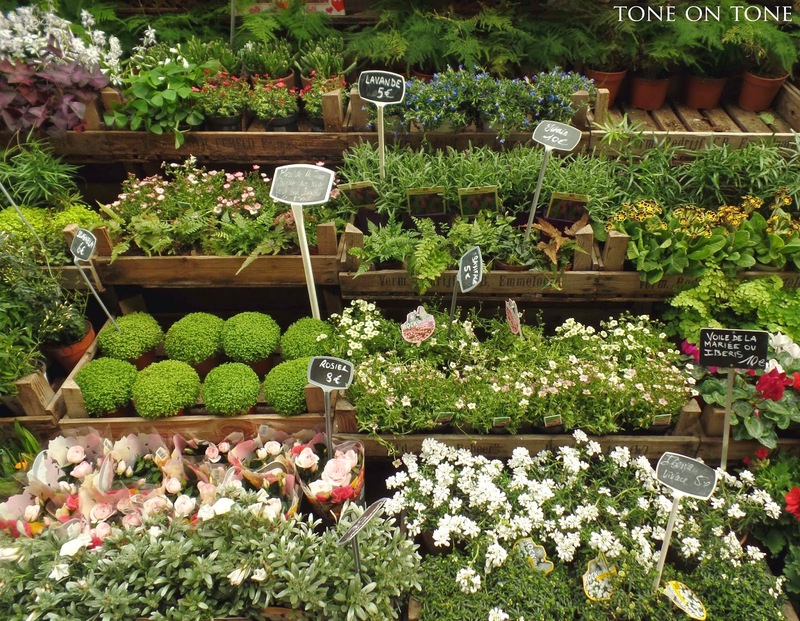 Bursts of colors compete with lush greenery. 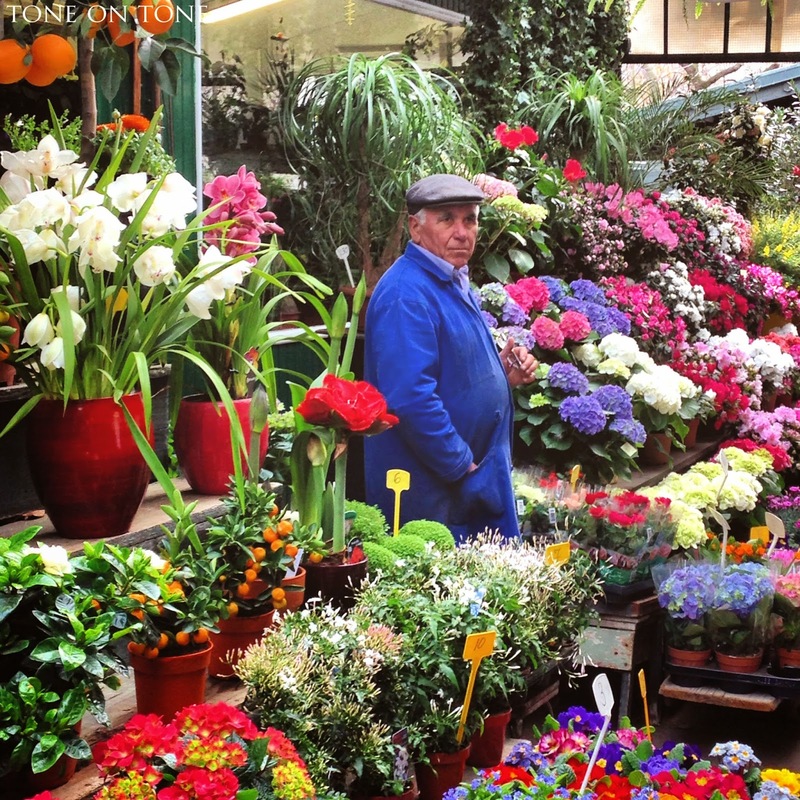 Monsieur in blue surrounded by a sea of vibrant colors - what a moment! Stunning, right? Now back to my world of Gustavian grays . 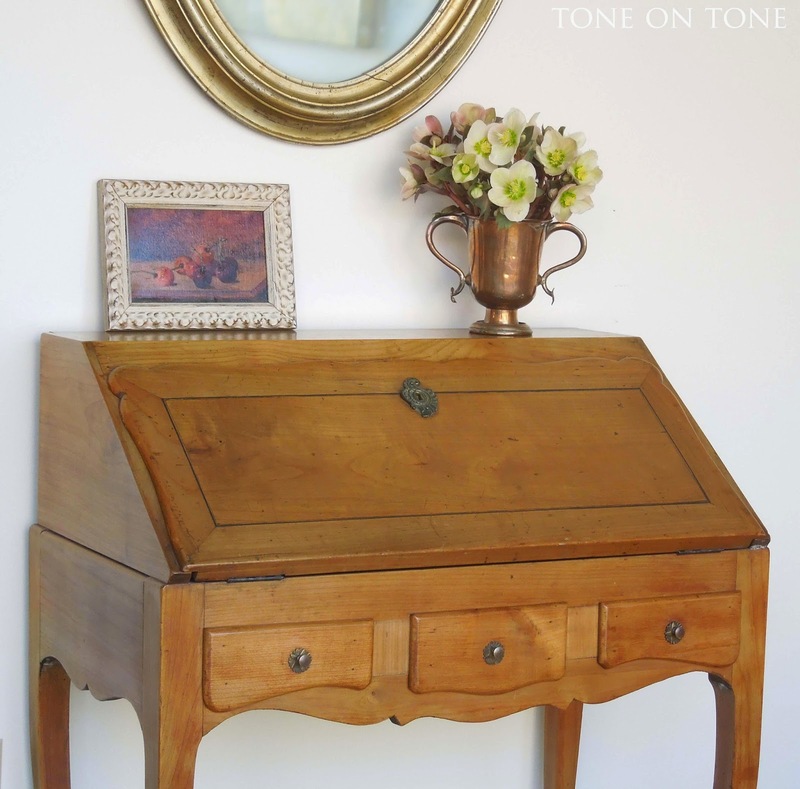 . .
Let's see what antique treasures are at Tone on Tone. 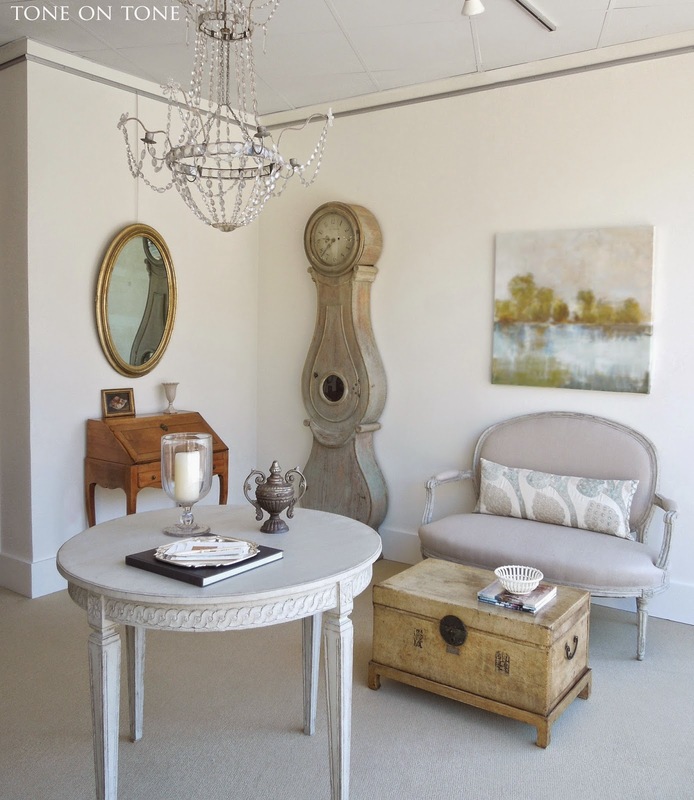 On a Swedish Gustavian round table with carved apron, a tablescape of books, candlestick, creamware basket, magnifying glass, and tobacco box greets shop visitors. Made of solid brass and measuring a mere 5" w x 3" d x 4'' h, the 18th century English tobacco box is perfect for business cards, desktop items, stamps, etc. Note the acorn finial. 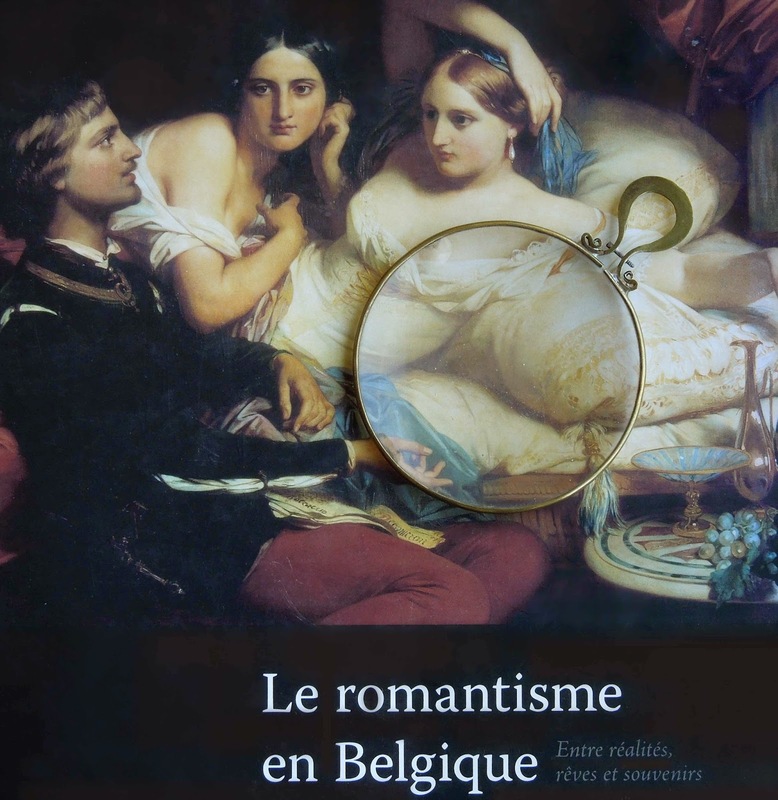 Also from the 18th century is this round magnifying glass with a fancy brass handle. I've seen a similar one in the bibliotheque of a house museum in France (sorry I forgot which museum). 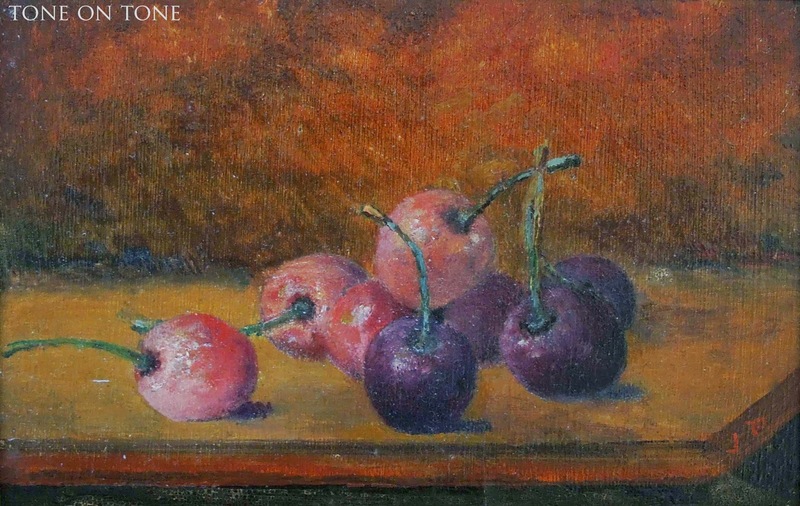 Here is a charming 19th century French oil on board still-life painting of cherries. Including the frame, the dimensions are 9" w x 6.5" h. I love the casual look of it propped on the wall between the American gilded oval mirror and French cherry desk with boxwood trim. 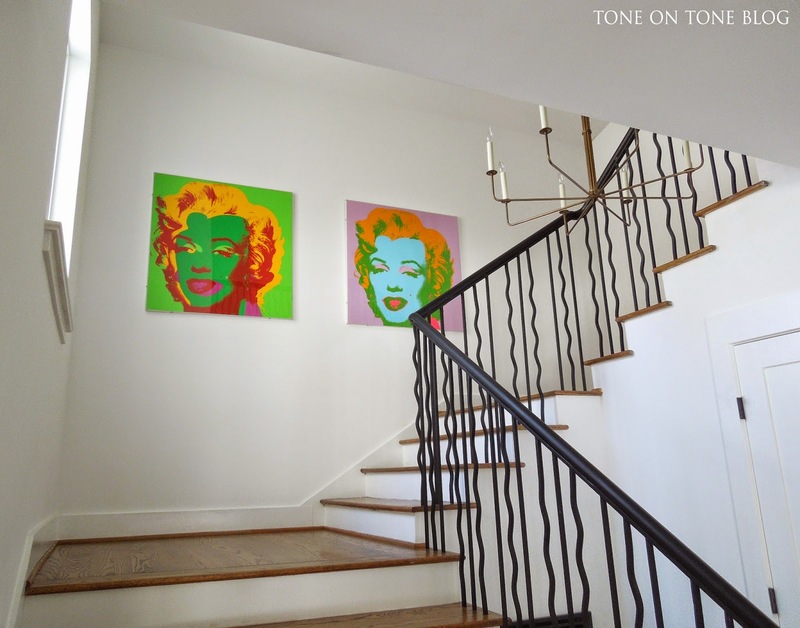 Placed on a surface, the painting can be easily picked up and admired. Also in this vignette is a 19th century English Sheffield loving cup polished down to the copper base - the silver plating is long gone. The cup has been well loved and, with its dings, proudly shows it. 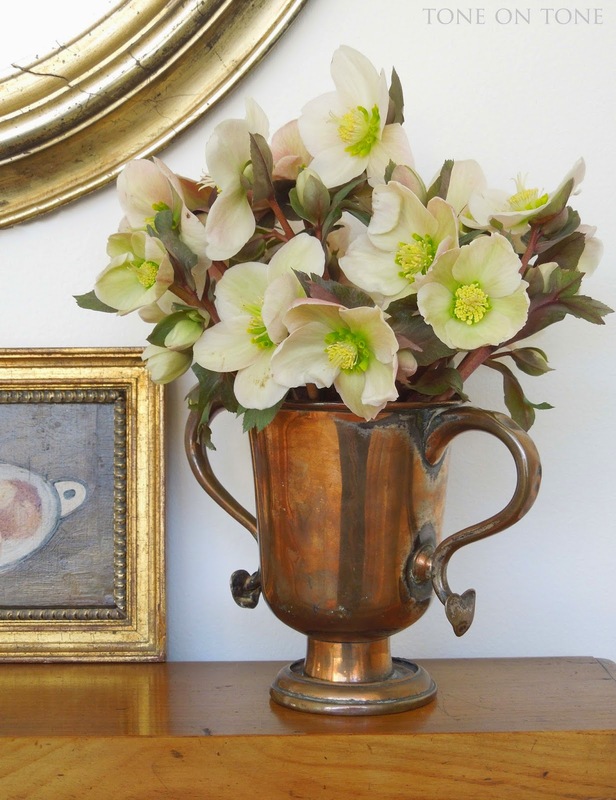 This treasure would have held posies from the garden of its mistress; today it is graced with hellebores from mine. I absolutely adore the handles terminating in sweet hearts. Another small French oil on board painting. 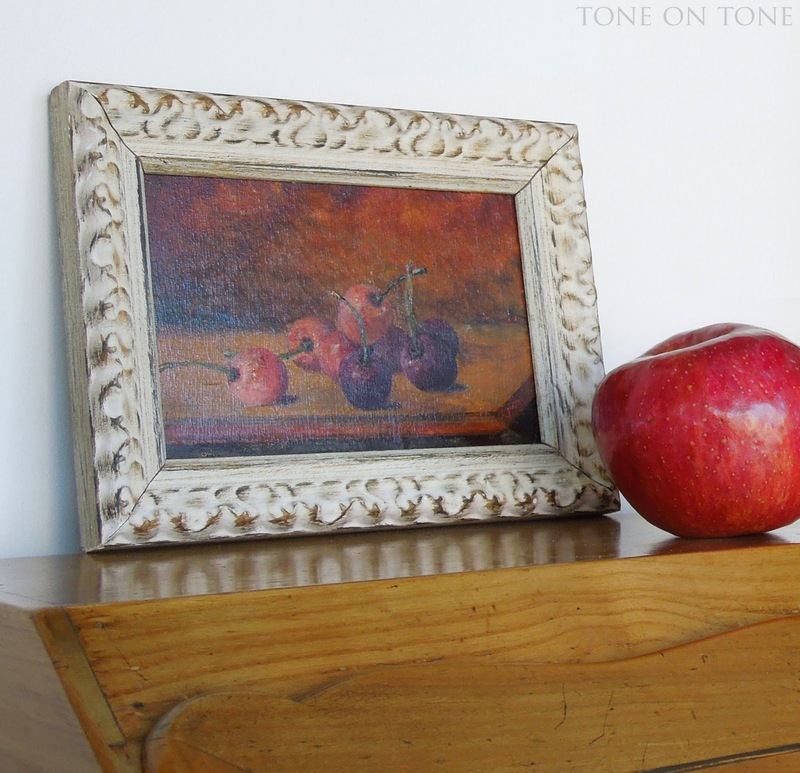 This still-life of apples was painted by a listed artist. 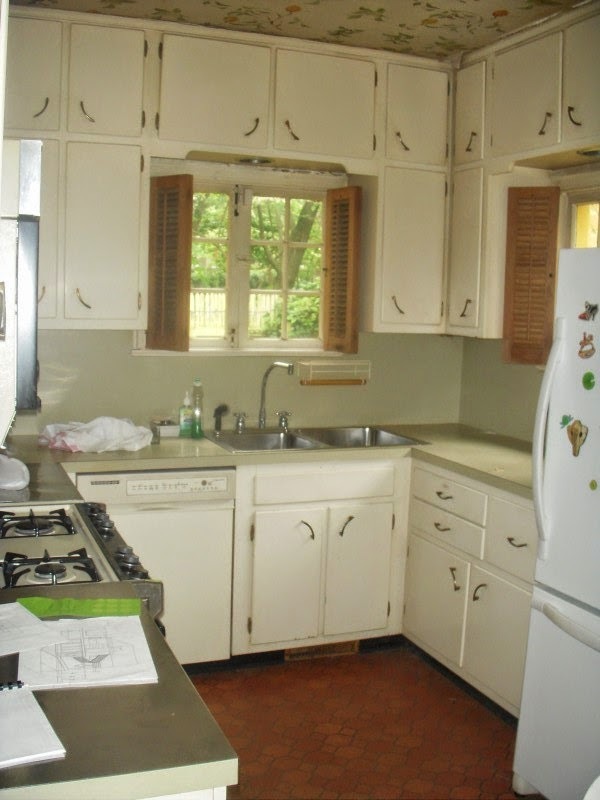 Wouldn't it be lovely leaning on a kitchen counter or in front of books on a shelf? Next to the painting is a pair of early alabaster vases (4" high). 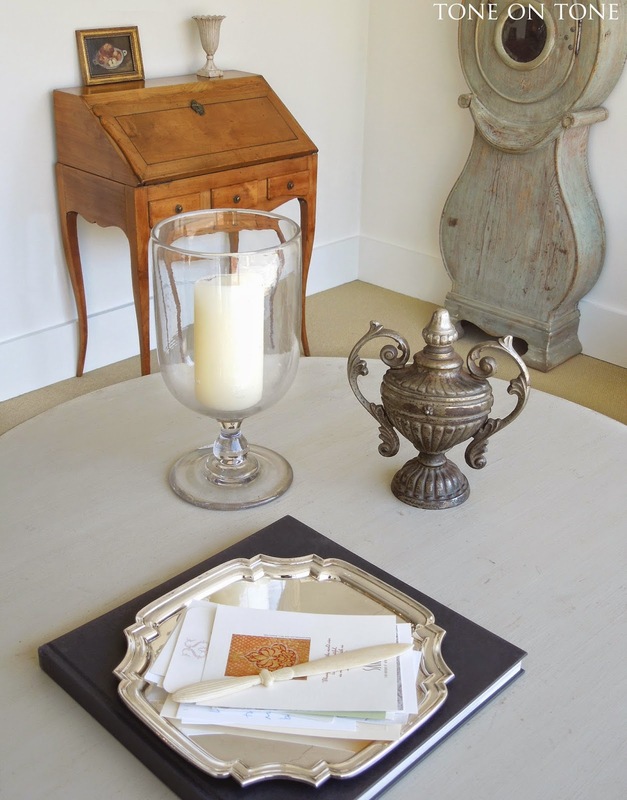 Restyling the center table with an American blown glass hurricane, English silver plated tray, and Continental brass finial with traces of silver gilt. 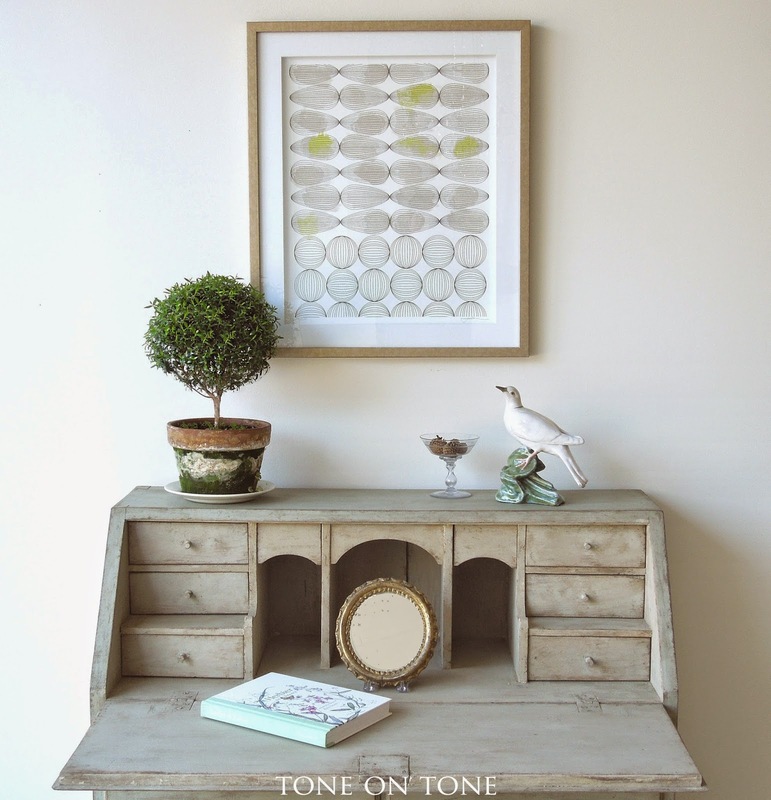 The tray holds thoughtful notes, thank you cards, and invitations from friends of Tone on Tone. I have a stack going back 10 years - many thanks! I wonder where this architectural finial came from - perhaps atop a fence post? Another look at the 19th century reticulated creamware fruit basket. 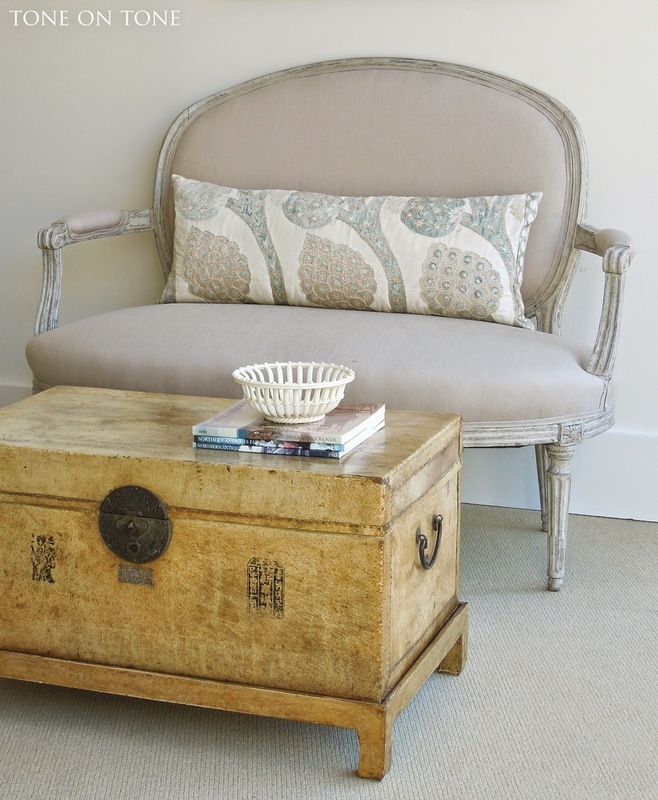 Without the creamware basket, the antique Chinese vellum trunk might come across as a box without a focal point. 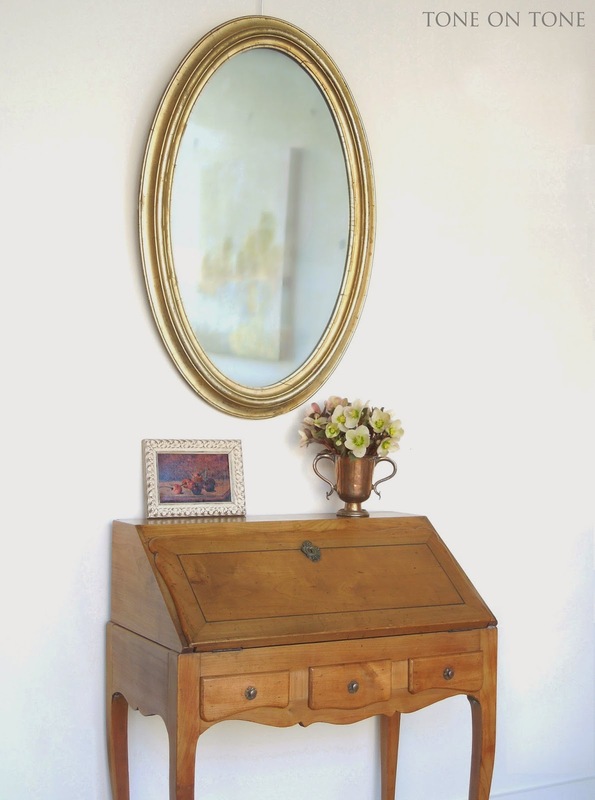 I've styled this Ca 1850s desk and Ca 1760s chair, both Swedish, to suggest a gardener has just slipped away. 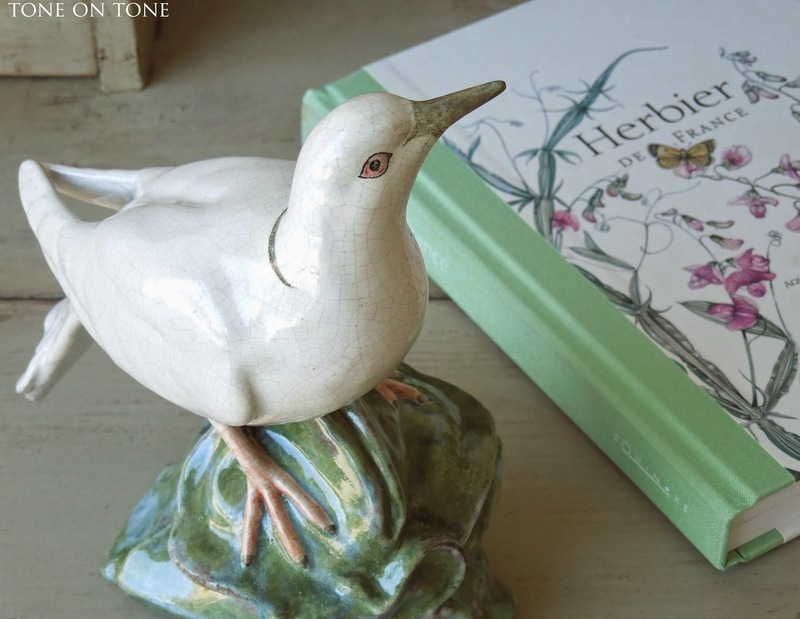 Gathered on the desk is a myrtle topiary, botanical book, collection of mini pine cones, and a stunning faience dove. 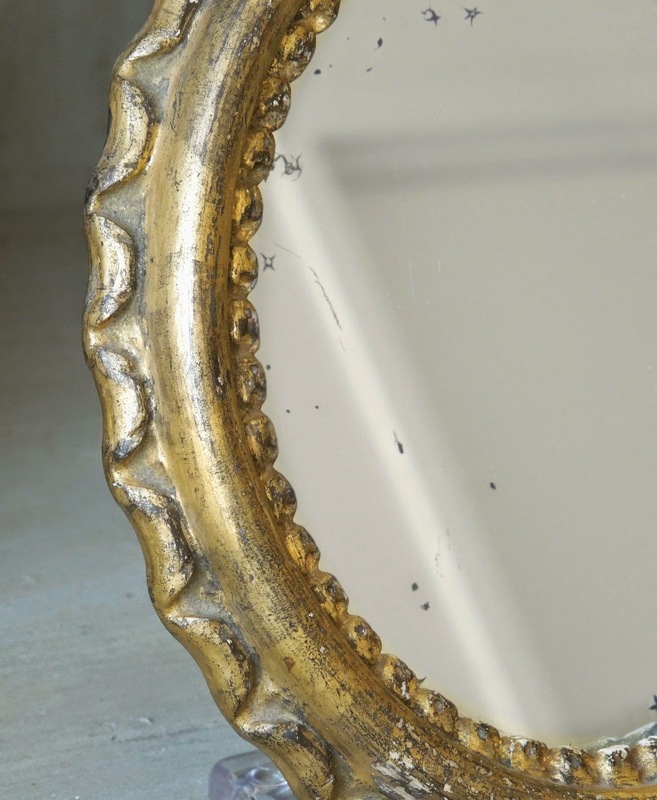 And there is a beautiful little courting mirror from the mid 1800s. The oval form is accentuated with a pie crust edge. But the piece de resistance is this Ca 1880s Alcide Chaumeil signed faience dove from Paris. 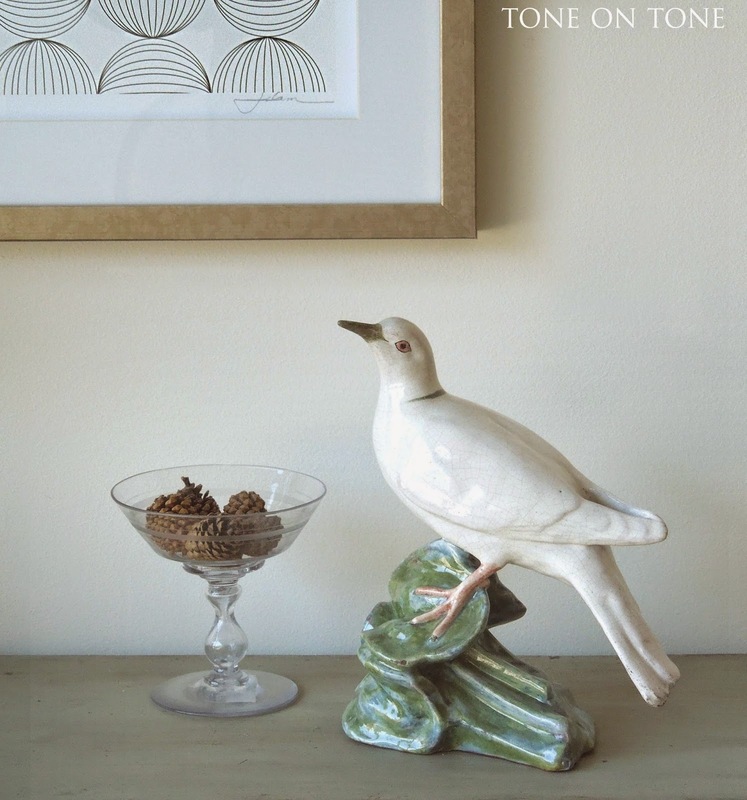 The dove is in mint condition. 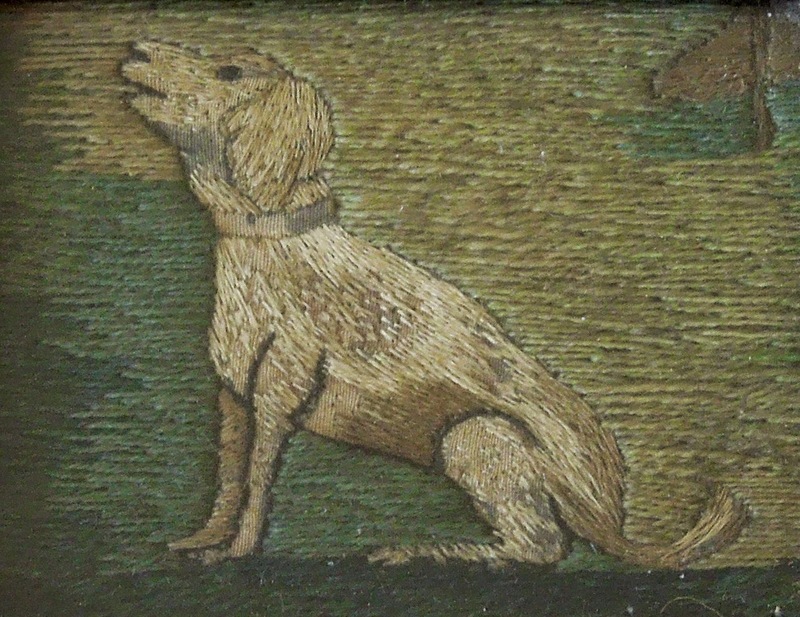 Next is an 18th century tapestry fragment. 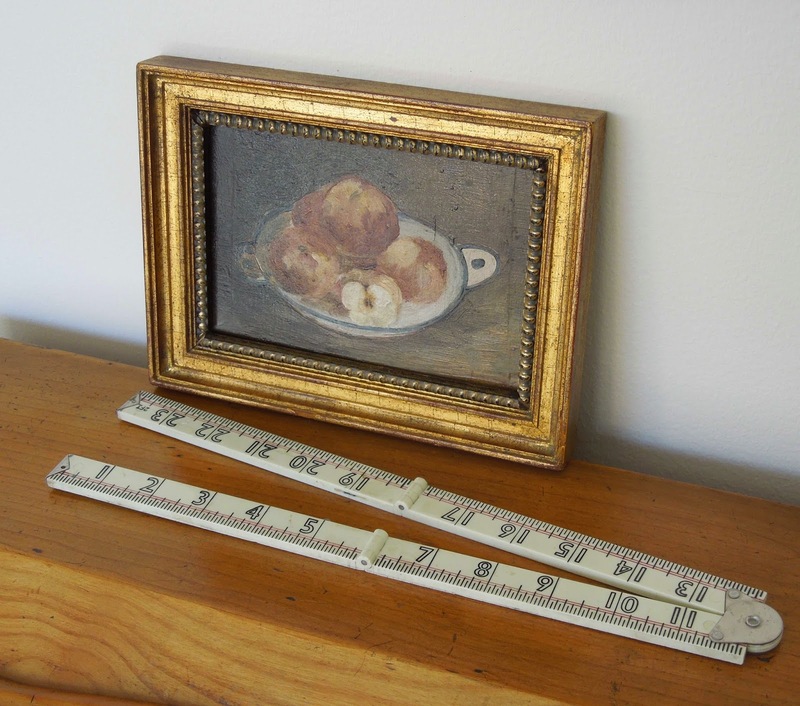 With the antique frame, it measures 4.5" x 5.'' Simply darling! Antique children's furniture is a personal passion of mine. I appreciate all the attention that goes into making these small scaled pieces. 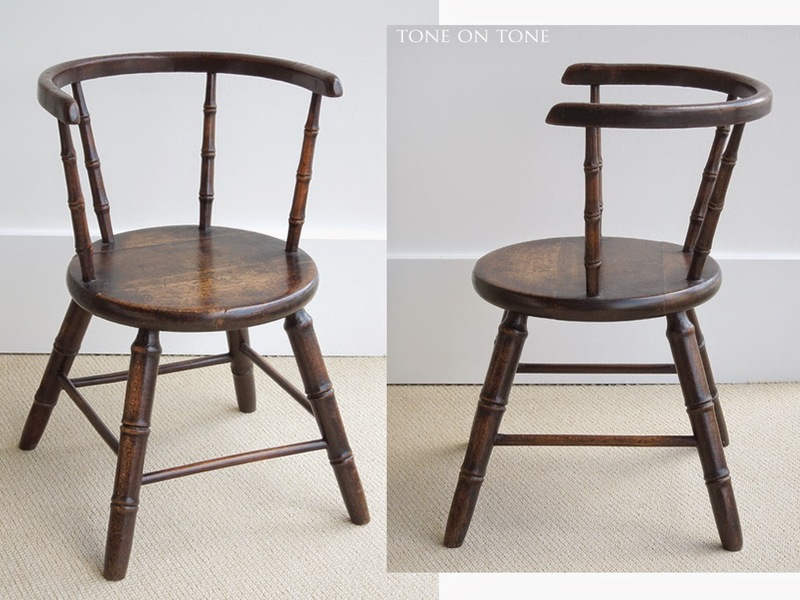 ABOVE: A mid 1800s English child's chair with barrel backrest and faux bamboo spindles and legs. The rich patina on the oakwood just glows. 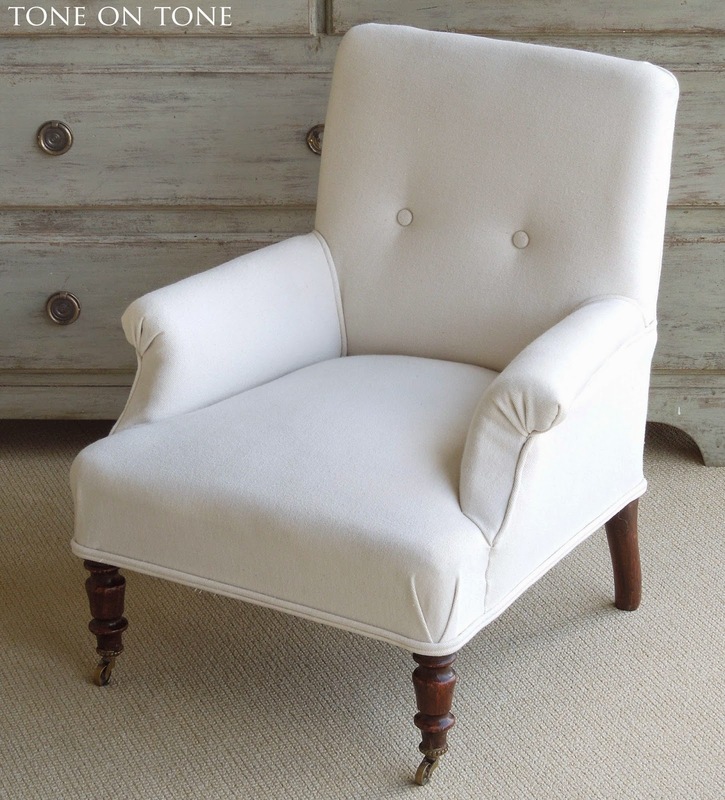 BELOW: From my private collection is this French Napoleon III clubchair made in the 1880s for a pampered child. The proportions, details and craftsmanship on this little guy are top notch. I've had it for years, but time to find it a new home. 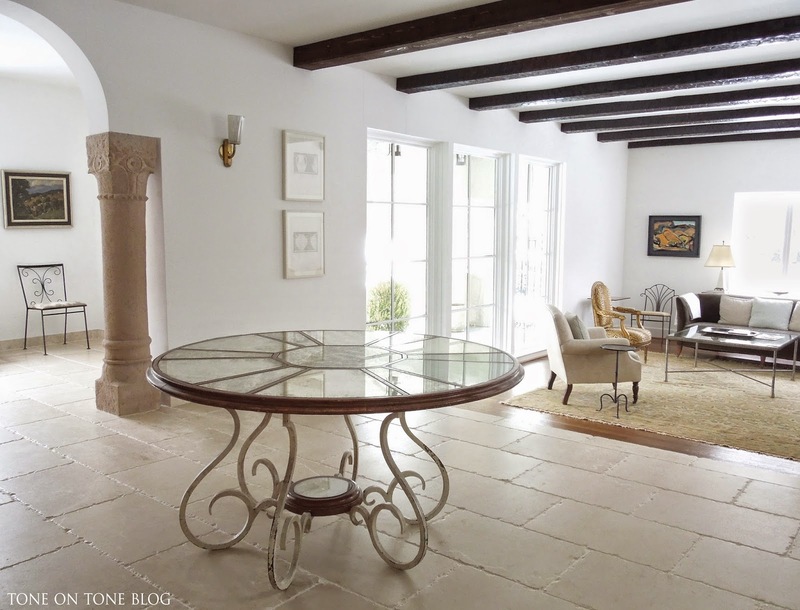 When New York architect W. Stephen (Steve) Wood and clients toured a dark and dated 1920s Spanish Colonial house, they were all charmed by the modest home's grand spirit with its arches, wooden beams and gracious step-down living room. Beyond that, endless little rooms resulted in a dizzying floorplan, not to mention a lack of light. 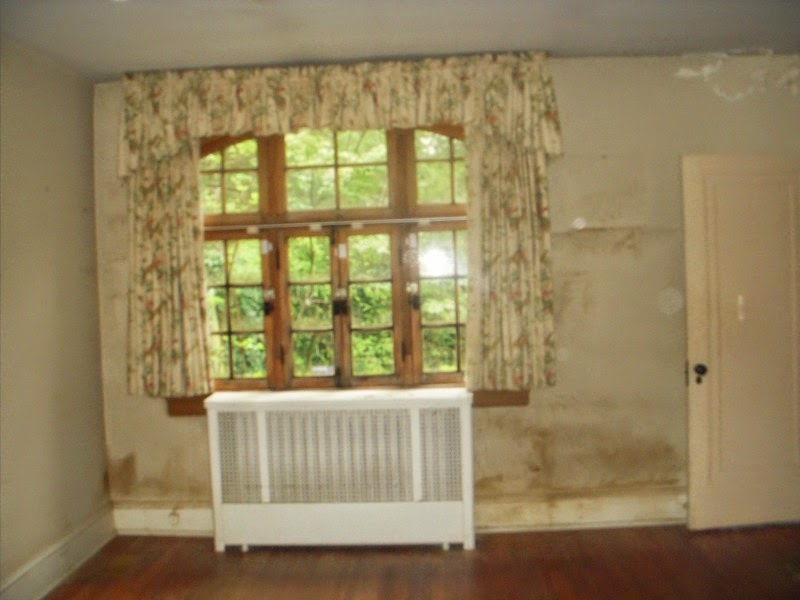 Steve immediately recognized the potential, and he drafted a plan so compelling the clients ended up purchasing and renovating the property, despite the dreariness. 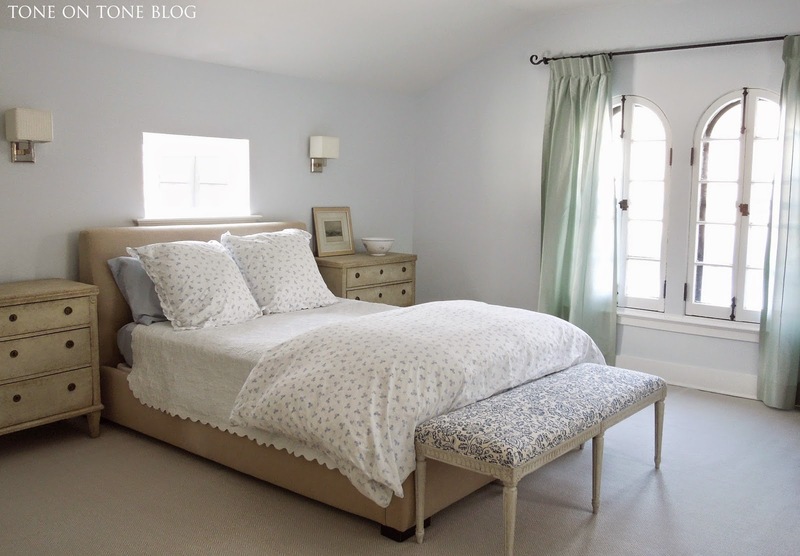 More than a year later, the results are breathtaking rooms filled with natural light plus many custom details. 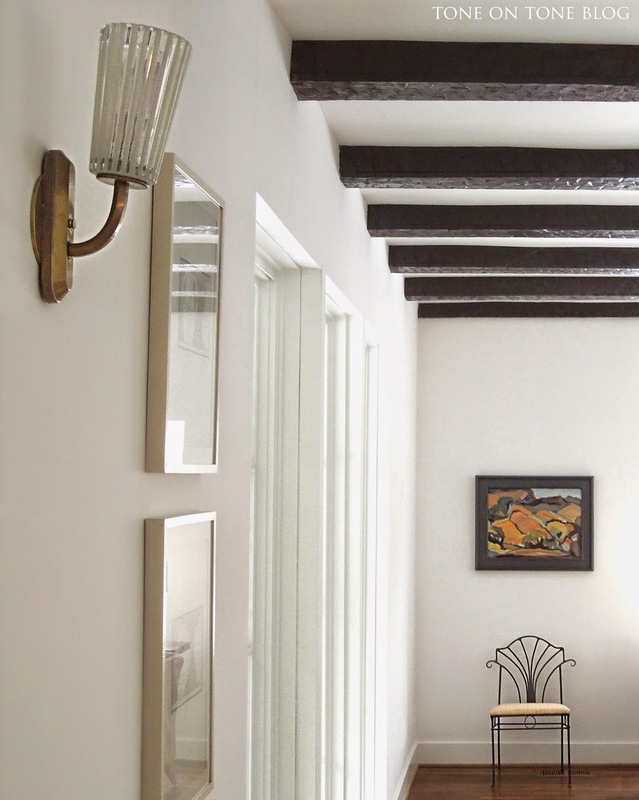 The home is simple but sophisticated, historic but fresh, and subtle but showstopping. 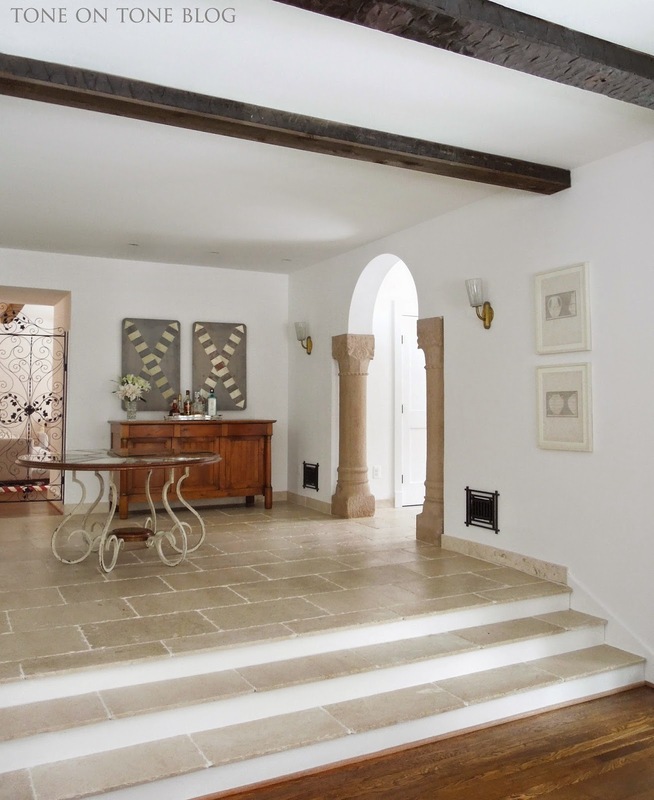 There aren't elaborate moldings, as typical of Spanish Colonial architecture, but what's been added is striking thanks to the Art Deco gestures - they add flair to the backdrop of white plaster walls as well as a sense of modernity. 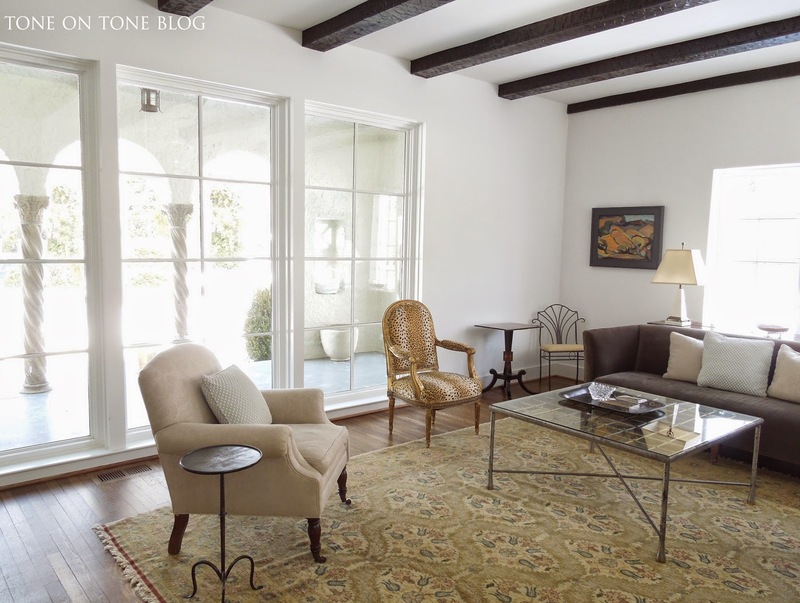 Steve explained that it's not uncommon to find Art Deco elements in Spanish Colonial works. 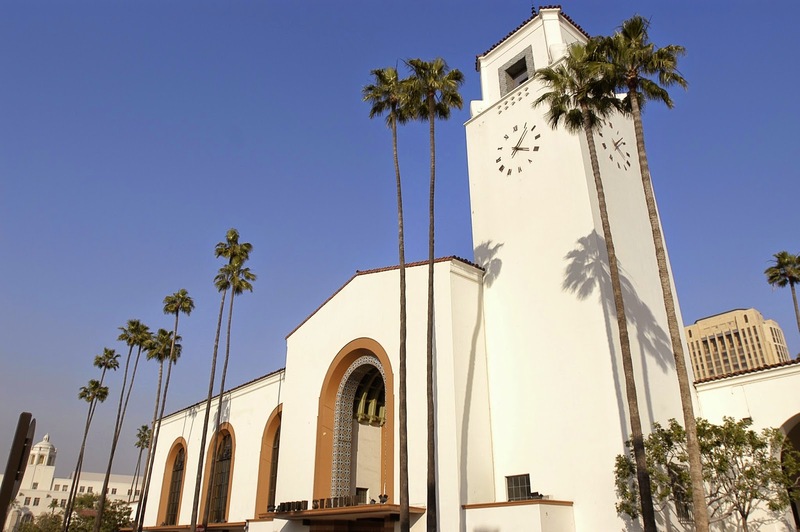 The former reached its height in the 1920-30s, while the latter was popular during the 1910-30s. So there is crossover. 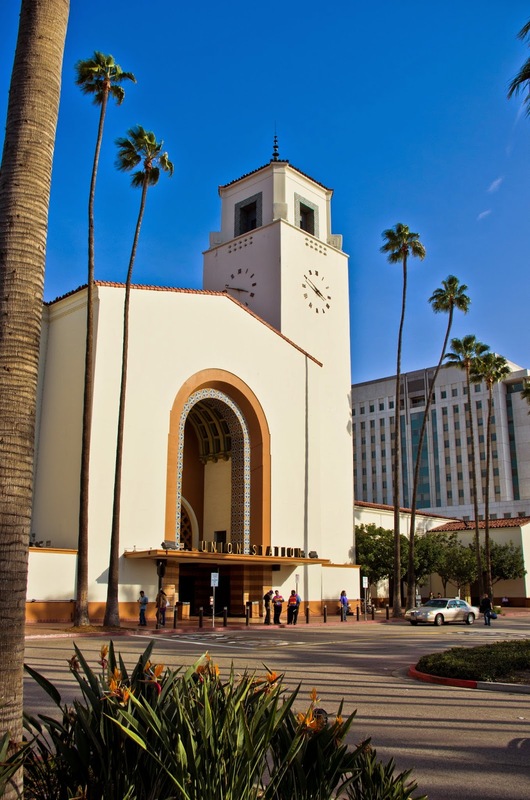 The 1939 Los Angeles Union Station is an important example showcasing the marriage of these two styles. 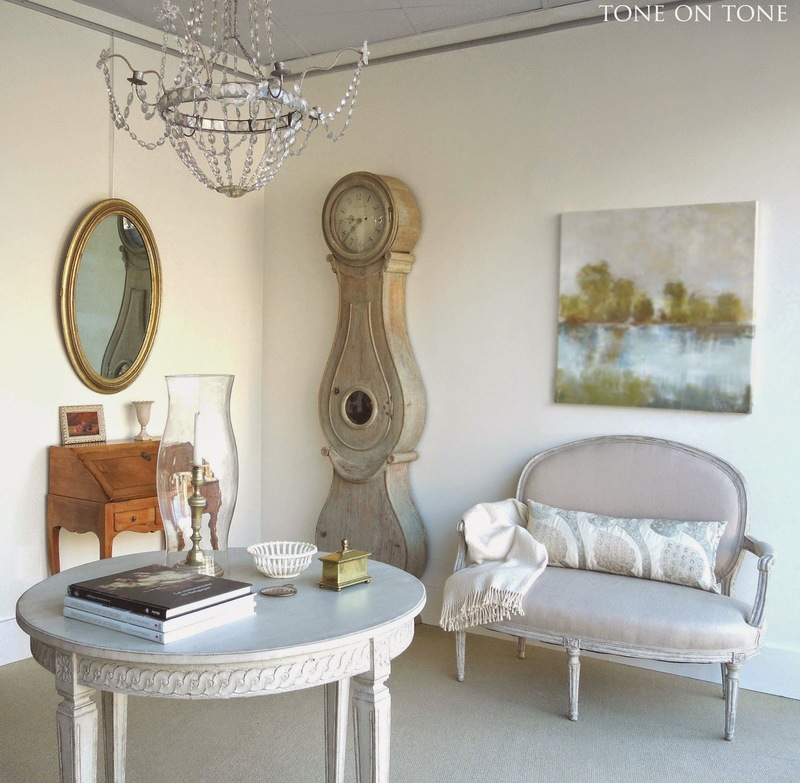 Furnishings are mostly vintage and antique pieces - from family to Tone on Tone items :) Steve had sourced pieces from Tone on Tone for a previous project - that's how we met. I'm delighted he thought of my shop when it came time to furnish this project as well. I'm grateful to be featuring this special home. I know how much you all enjoy house tours, so I was thrilled that our clients said yes, even though they are still finishing the rooms. Many thanks to them! No words here! Although that wallpaper on the ceiling and those stains: scary!! 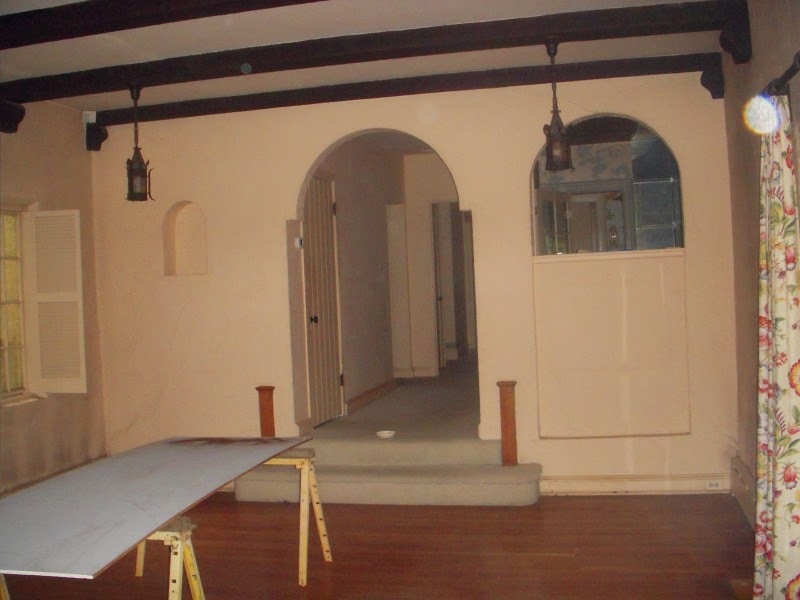 BELOW: The step-down living room with wooden beams. Beyond the arched doorway are several small rooms, which became one large space during the renovation. Get ready for the changes . . . 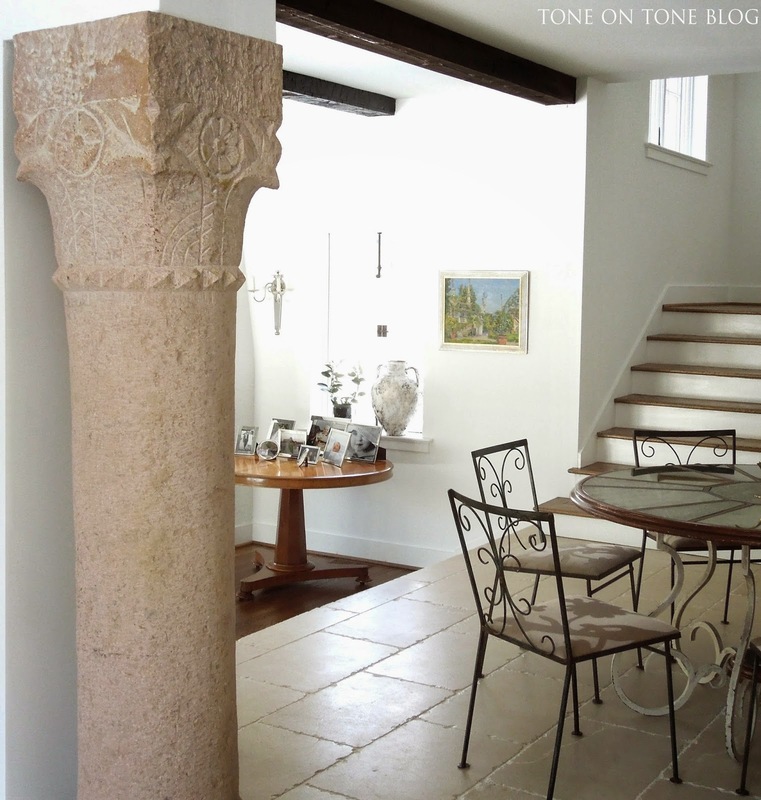 Here is the reception / dining room with a view to the step-down living room; the entry foyer is behind the stone column. 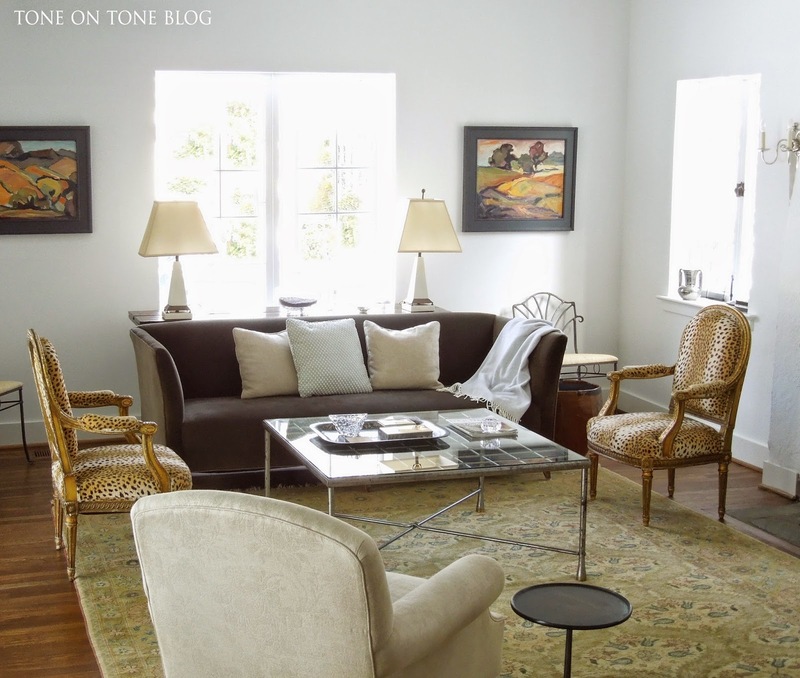 The clients did not want a formal dining room, so this space doubles as a reception and dining room. 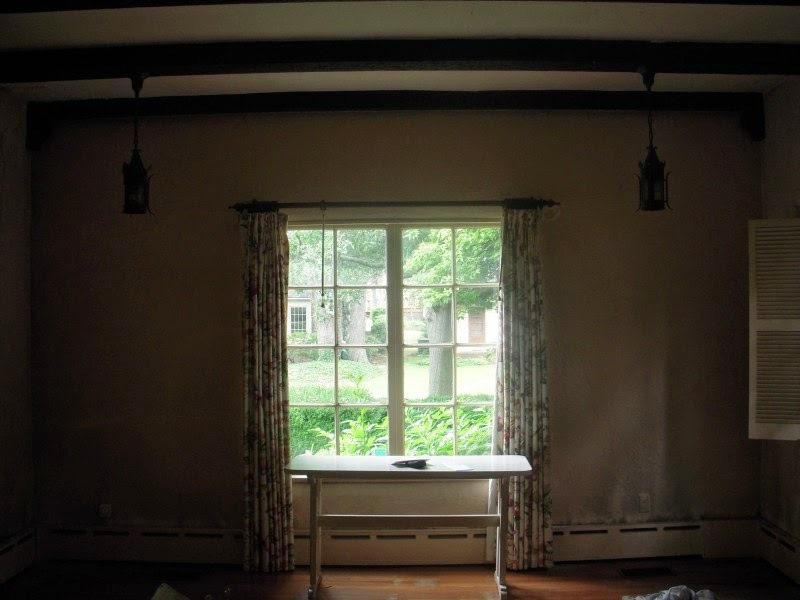 Architect W. Stephen (Steve) Wood gutted this area to make it one open room. 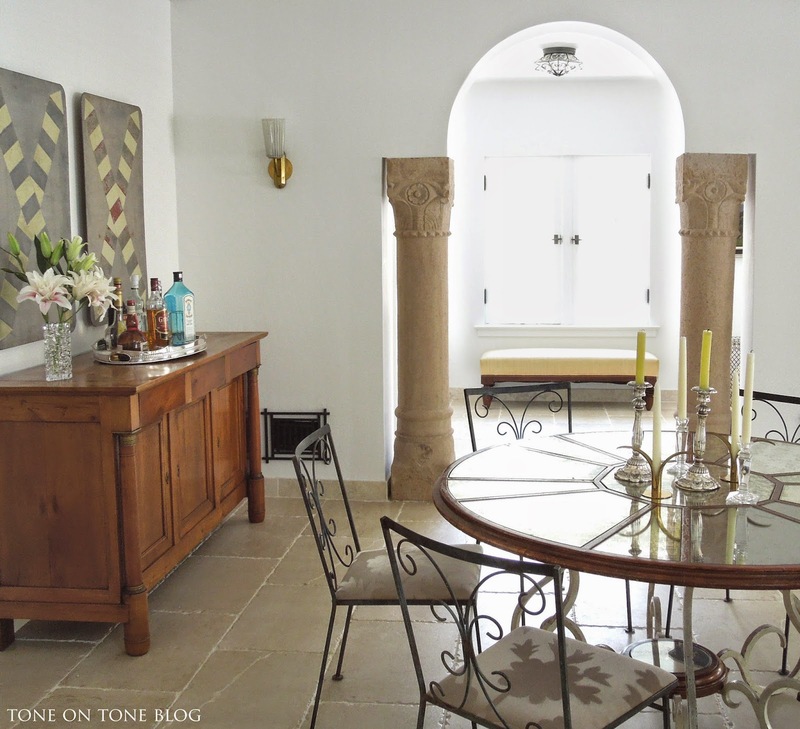 The floors are limestone with tumbled edges. Stepping down to the now light and airy living room. A new wall of three oversized glass windows replaced the small front door flanked by mini sidelights. 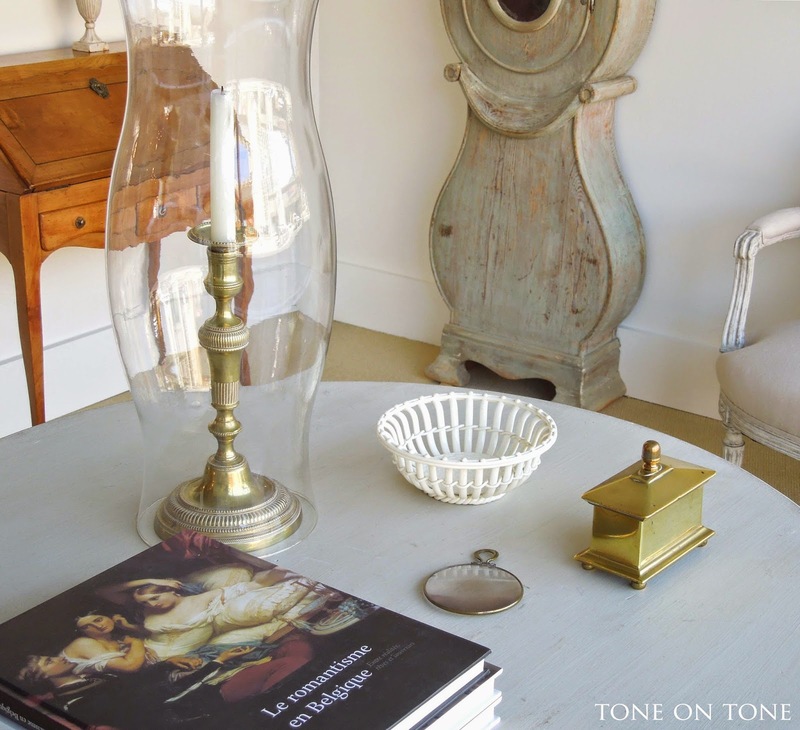 The French steel, brass and glass coffee table is from Tone on Tone - I featured it here. 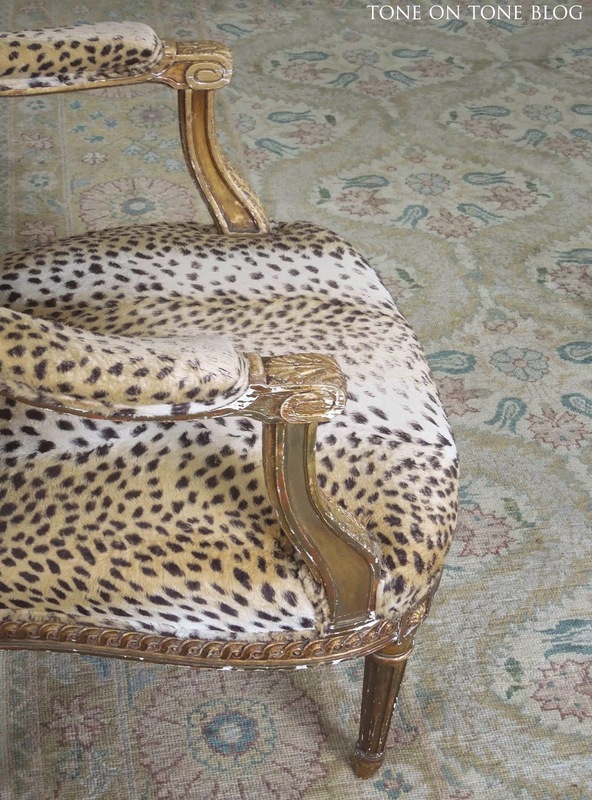 Also French is the pair of gilded Louis XVI armchairs in old, threadbare leopard print fabric from 25 years ago - still chic! 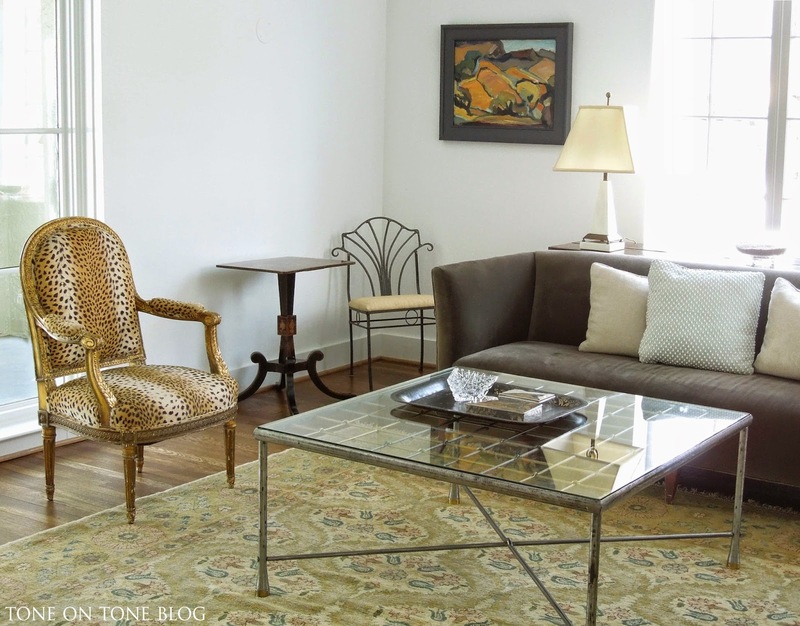 Those along with the vintage Bloomingdale's mohair sofa and rug brought back from Istanbul are all family pieces. The fireplace is unusually small, but charming nevertheless with its original arched opening framed with granite. 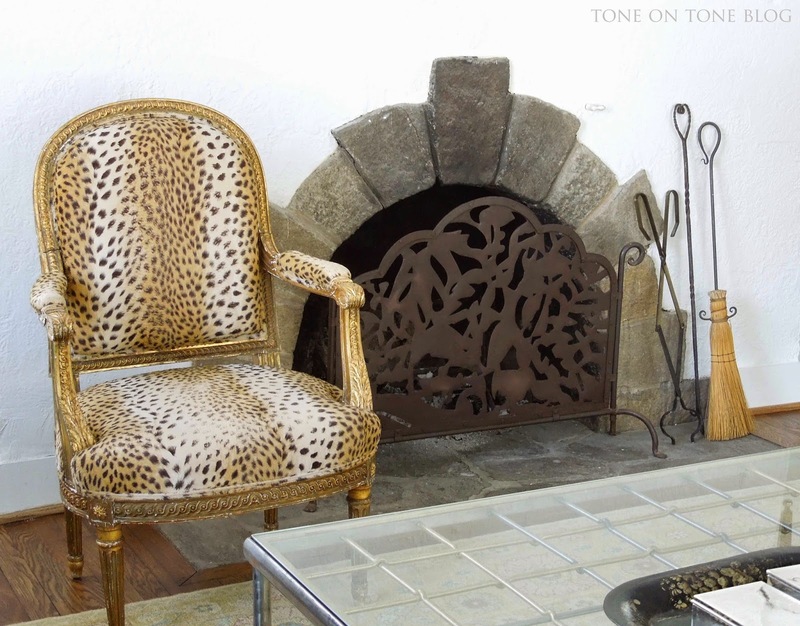 From Olde Good Things in New York City is the fireplace screen which the clients purchased for their previous home. Perfect fit here! BELOW: Looking up to the reception / dining room. Compare it to the before photo with the three arches - this is the same view. What a dramatic difference! 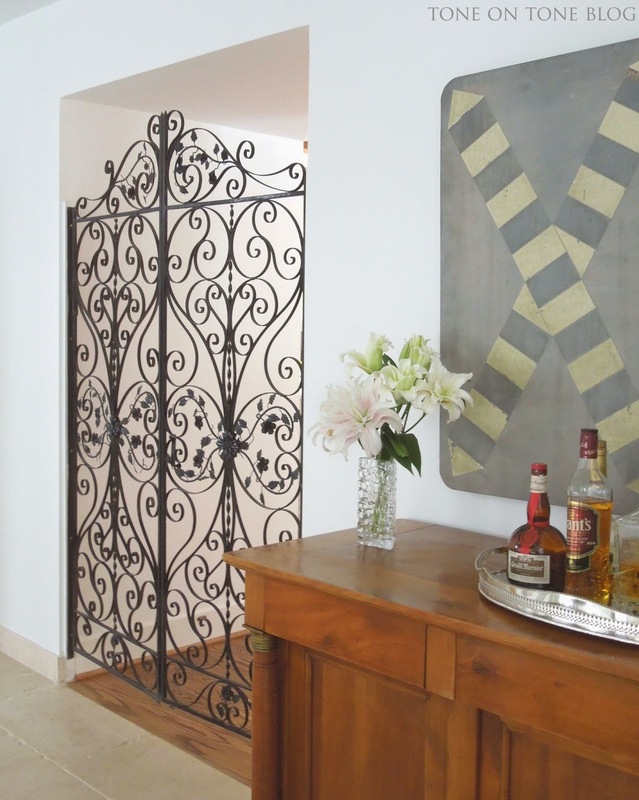 Also from Olde Good Things is the stunning pair of antique carved stone columns and the wrought iron gate panels. 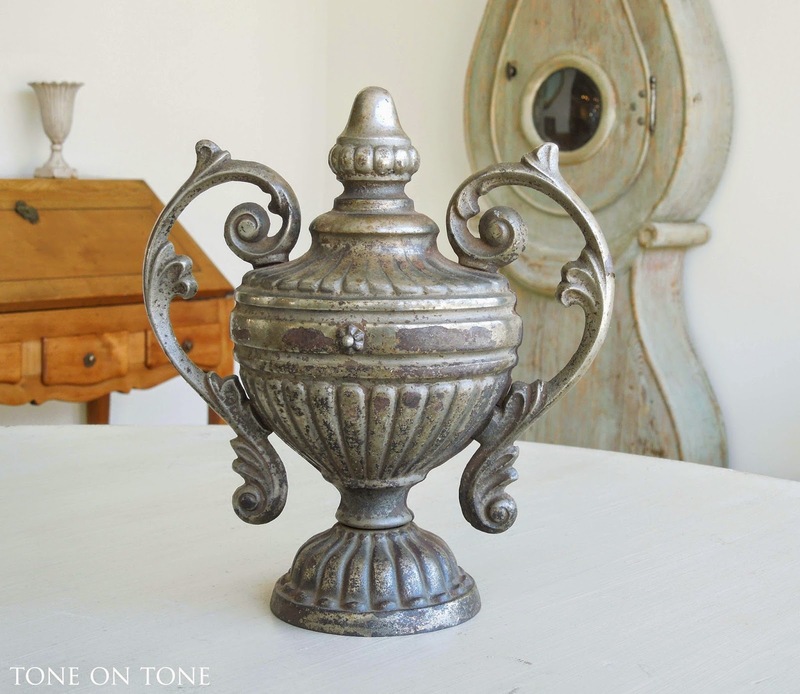 Steve tells me that OGT is a favorite source for architectural elements and eclectic goods. 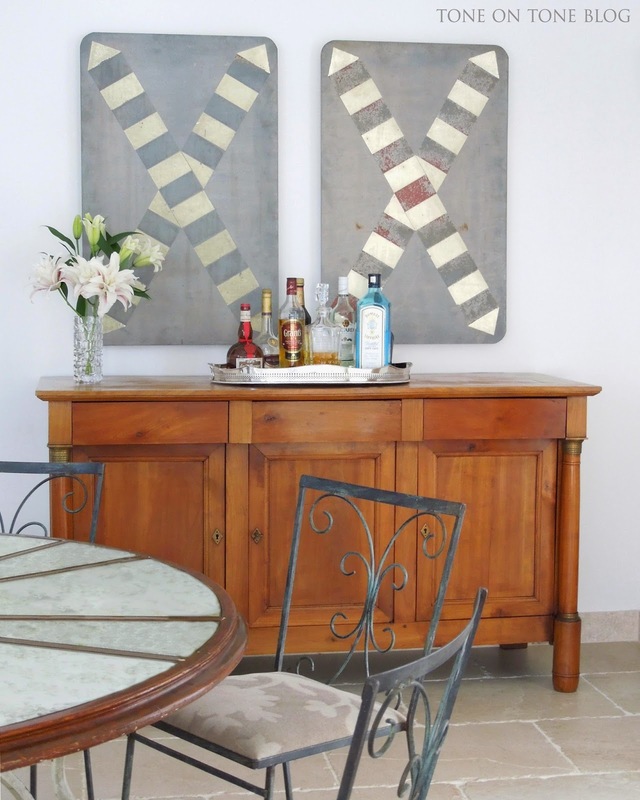 The center hall / dining table along with the pair of vintage railroad signs came from the Marche aux Puces (flea markets) in Paris. A set of 6 vintage iron chairs were found in Hudson, NY for $30 each. 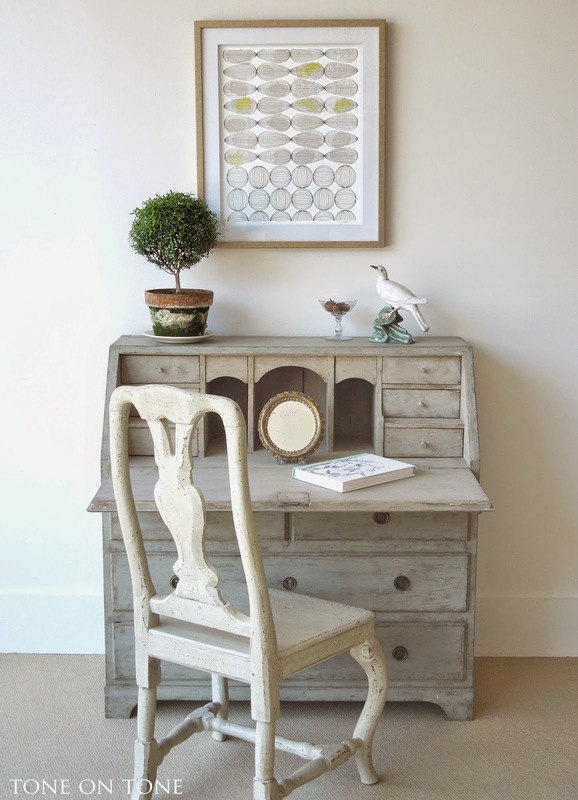 The clients originally came to my shop looking for a Swedish gray painted buffet. 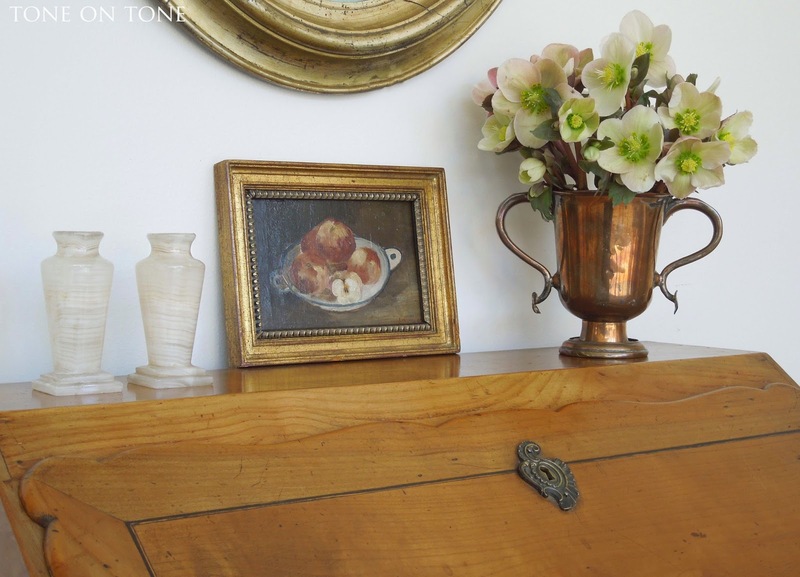 I suggested this 19th century French cherrywood sideboard instead. 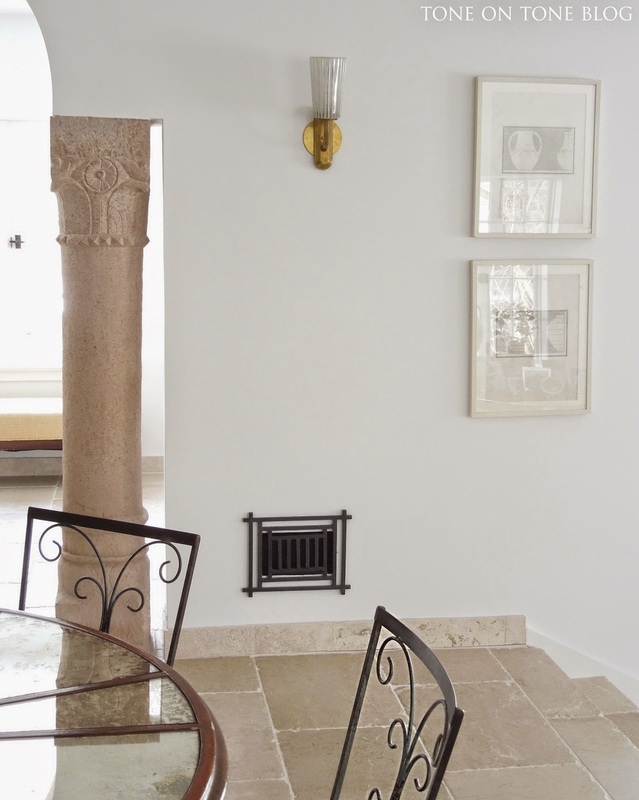 With all the stonework and metal surfaces, the space needed the warmth. Aren't those railroad signs cool? I love the custom iron register covers that Steve designed. 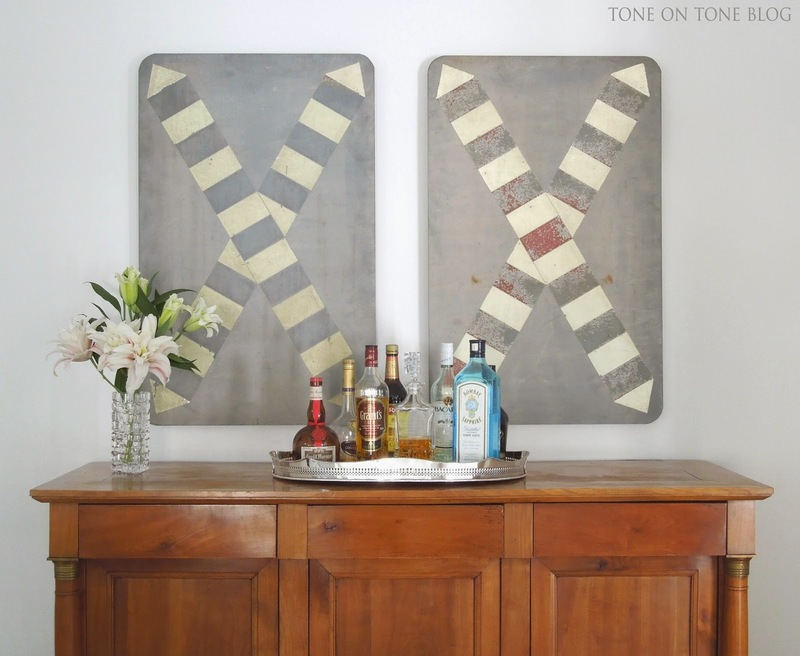 Together with the antique sconces from Paris, they inject a bit of Art Deco flair. 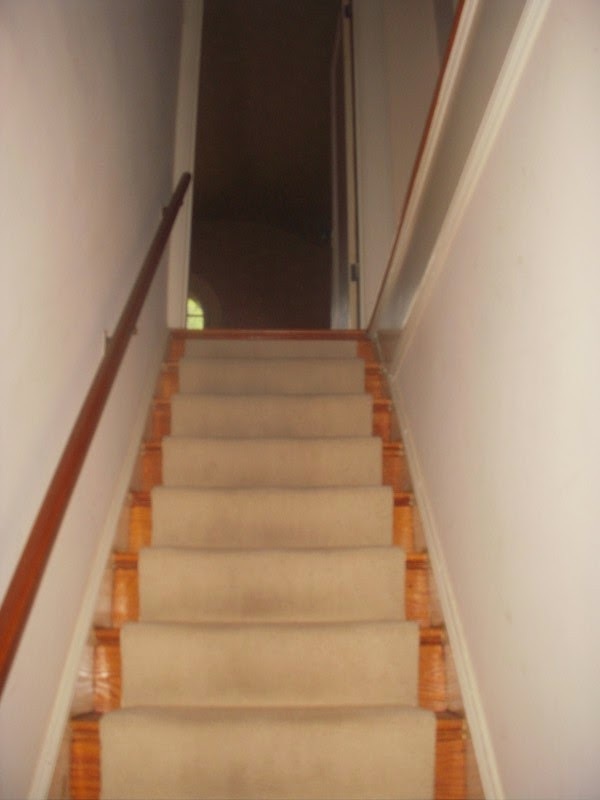 By the way, this staircase is new - the skimpy, original staircase is shown at the beginning. 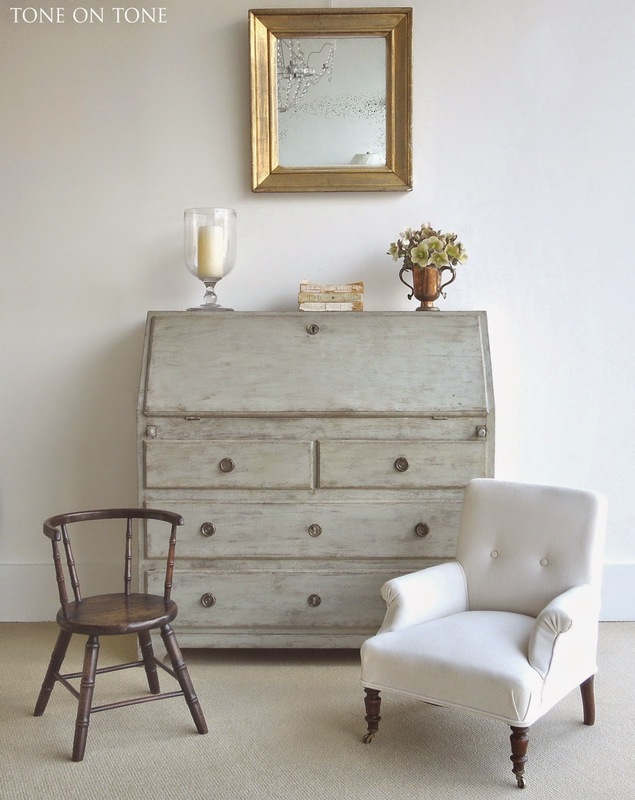 Upstairs in this bedroom are a pair of Swedish Gustavian style chests and bench from Tone on Tone - all recently delivered. 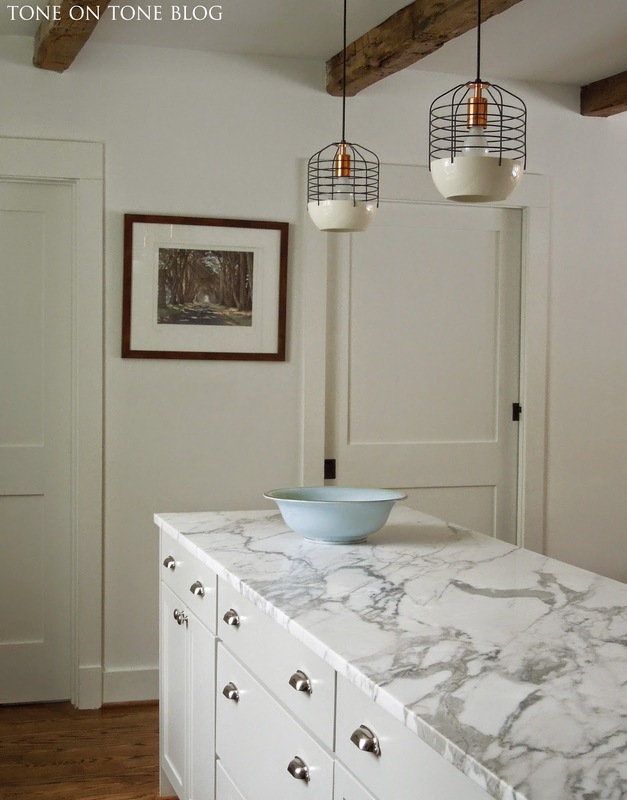 Back downstairs, let's go into the new kitchen behind the wrought iron gates found at OGT. They remind me of the fanciful ironwork in Andalusia, Spain. 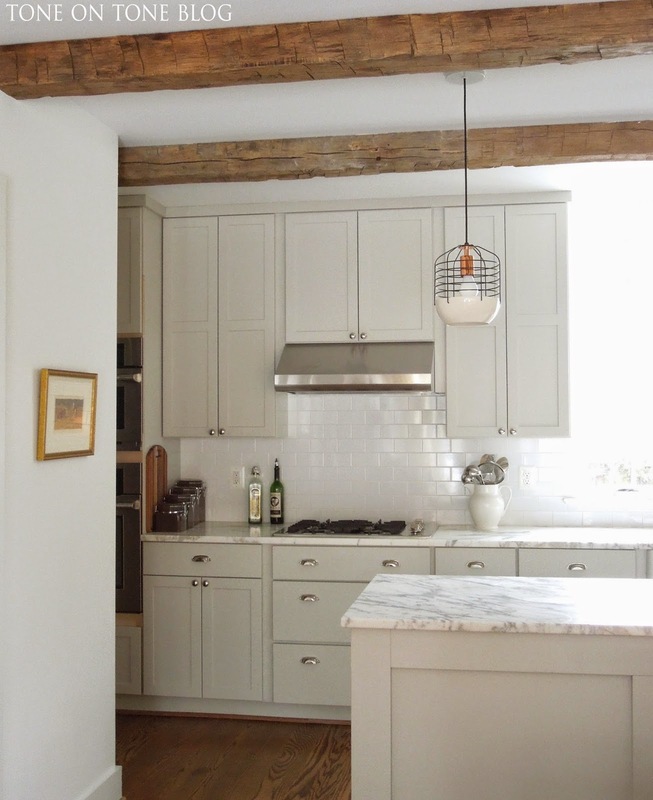 Welcome to the new gray-and-white kitchen with classic subway tiles and Calacatta marble counters. Gorgeous! 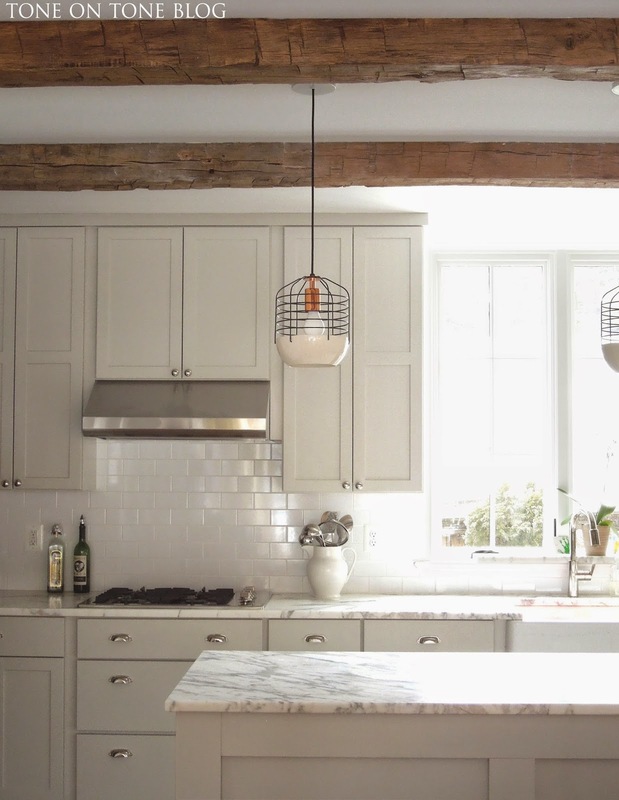 The fun pendant lights are available at DWR, but I hear you can get them directly from the manufacturer in Brooklyn, NY. 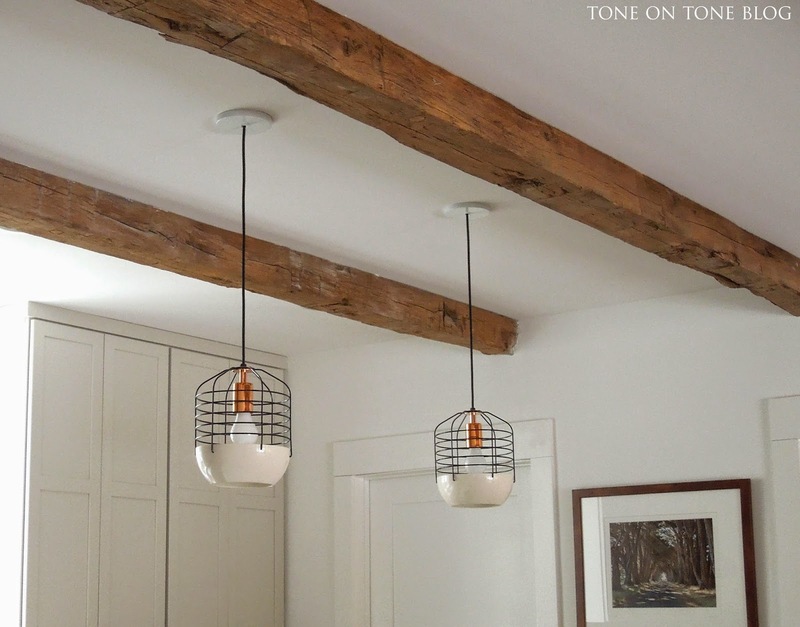 Reclaimed beams were added here and in the family room (not shown) located on the other side of the island. I hope you love this home as much as I do. It's an original, and everything in it has a story. With many thanks, once again, to Steve and our clients!